Cosmetic dentistry is the art and science of reshaping, aligning and brightening teeth to create a beautiful new smile, and can include replacing any teeth that are missing. 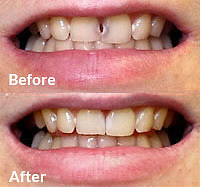 Cosmetic dentistry can be a real game changer in terms of increased self-confidence and self-esteem. 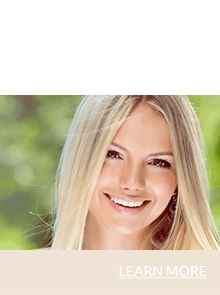 Dr. Khetani is highly trained and experienced in cosmetic procedures, and takes great care with every detail to give her patients a very aesthetic new look. Whether you want cosmetic work done to correct a minor issue or are looking for a complete smile makeover, she will give you a smile you’ll be proud of. 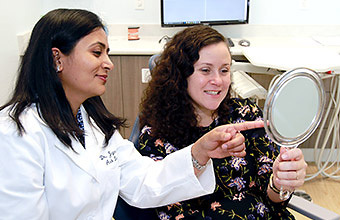 Dr. Khetani will tailor your treatment plan to your individual needs and goals for your smile. Treatment plans can therefore vary widely depending on personal goals and what the patient wants done. Below is our general approach to giving you beautiful and long-lasting results that will allow you to smile with confidence. 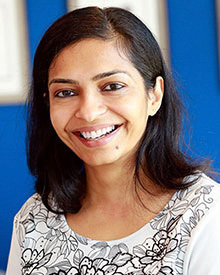 Dr. Khetani will consult with you in detail so she can customize your treatment plan to meet your specific goals. 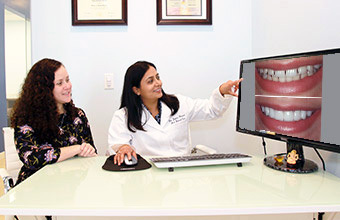 In addition to a comprehensive oral exam which includes full digital X-rays and photos of your smile, Dr. Khetani will consult with you in detail about what you want to achieve so she can customize your treatment plan to meet your specific goals. to achieve an optimum bite relationship. Dr. Khetani will explain every step of your treatment. 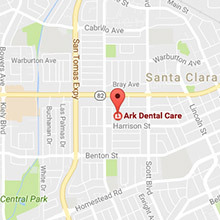 Dr. Khetani will formulate a custom treatment plan to meet you smile goals. She will explain all steps of the plan in detail so you understand exactly what the procedures involve and can comfortably make decisions about your treatment. of your treatment will be long-lasting. Porcelain veneers are thin porcelain coverings that are bonded to the front of teeth to change their color, shape and/or size. Dr. Khetani uses top-quality materials and is meticulous in the design and placement of veneers so they look completely natural and aesthetic. 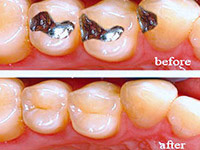 Dr. Khetani can use a tooth-colored resin material to fix or cover up minor cosmetic or structural flaws in your teeth. Resin bonding tends to lose its color and shape over time, but it is highly suitable for a quick fix or as a temporary enhancement before veneers or other permanent restorations can be placed. 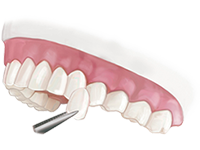 A dental crown is normally used when a tooth needs both significant structural repair and cosmetic improvement. Whenever possible, Dr. Khetani fabricates crowns out of zirconia porcelain, one of the latest advances in dental materials. In addition to having excellent aesthetics, zirconia is the strongest and most durable material for replacement teeth that is currently available. 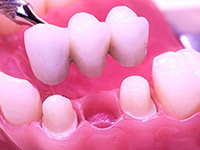 A dental bridge is a series of connected porcelain crowns used to fill a gap left by one or more missing teeth. Dr. Khetani places bridges that are stable, look natural and fit perfectly in your bite. Old silver amalgam or gold fillings can be replaced with a modern, tooth-colored dental material that makes the filling practically invisible. Dr. Khetani can brighten your smile using our in-office professional whitening system. She can also provide you with custom bleaching trays and professional-grade whitening gel so you can conveniently whiten your teeth at home. Dr. Khetani is a certified provider of Invisalign clear teeth straightening. With Invisalign, you don’t have to go through the discomfort, long treatment times and inconvenience of traditional braces to obtain a straight and beautiful smile. Invisalign uses a series of clear, removable plastic aligners to effectively and comfortably straighten your teeth without metal brackets or wires. 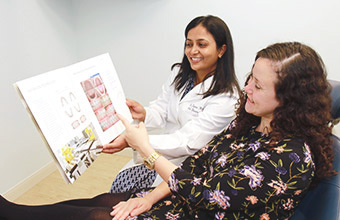 Come and see Dr. Khetani for a Complimentary Cosmetic Consultation and find out how you can achieve your smile goals. She will fully explain all your treatment options and answer any questions you may have.